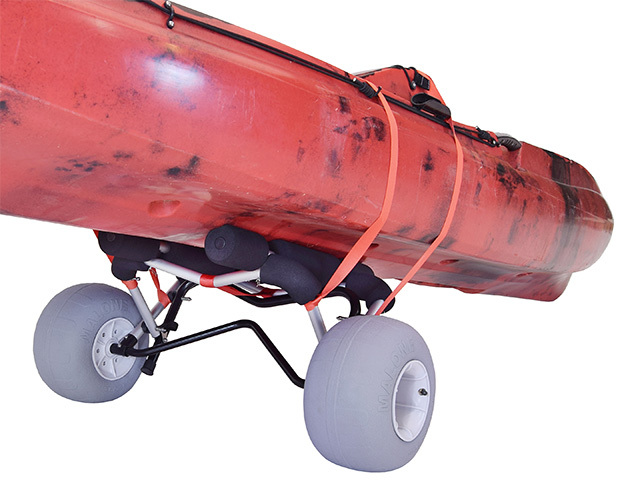 Most canoes, sit-on-top and fishing kayaks have wide hulls for stability. 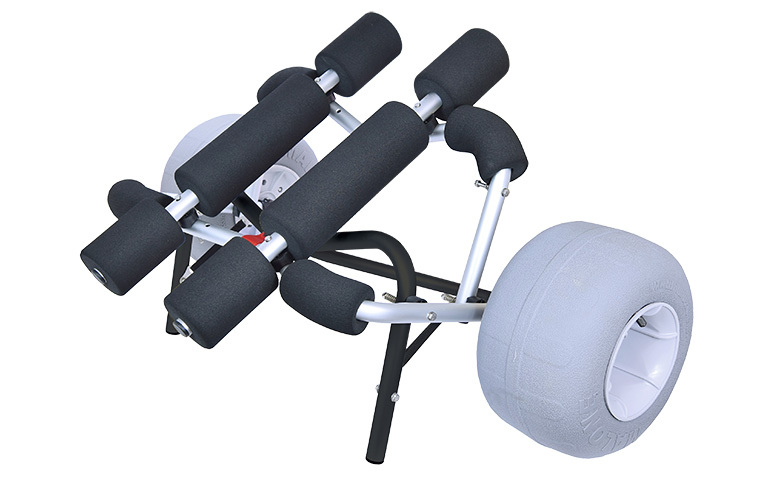 These boats require a cart with additional width and higher load capacity. The MPG521-S has the same features as MPG521, but includes one set of 24” long adjustable bunks. 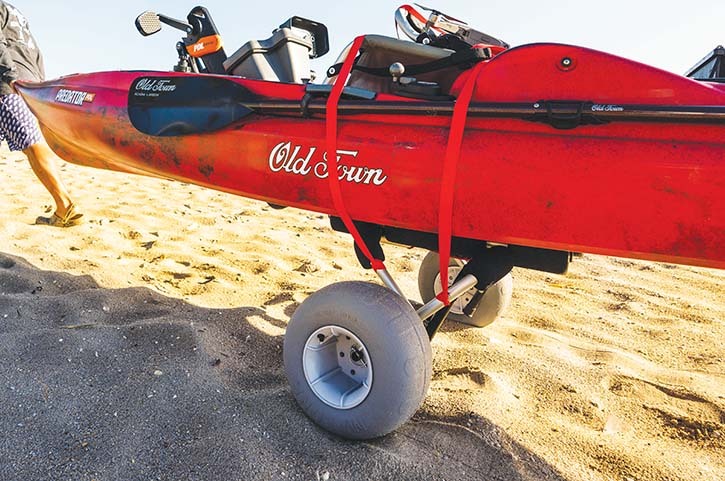 This cart provides transport for nearly all canoes and large fishing kayaks including those with non-traditional (tri-hull & pontoon) hull configurations. The MPG521-S WideTrak™ offers the perfect solution for confident transport in soft terrain and deep sand conditions. 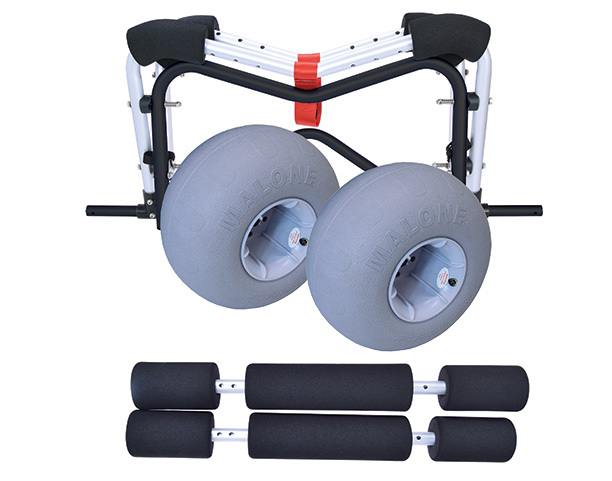 Features 12" x 7" sand wheels, double 2pc load straps, low pressure air pump and a Limited Lifetime Warranty.